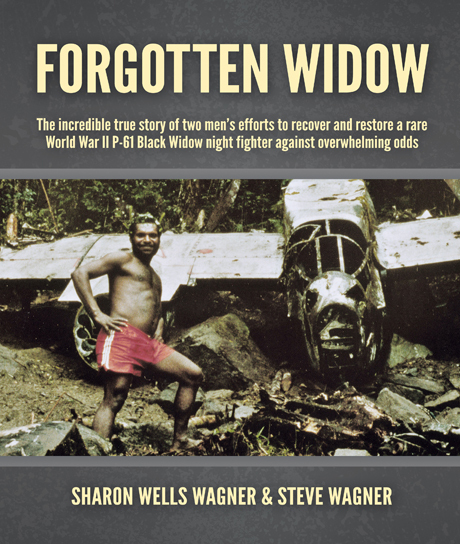 On January 6, 1945, a P-61 Black Widow night fighter crashed into the slopes of Mount Cyclops on the island of New Guinea. Forty years later, a team from the Mid Atlantic Air Museum set out to recover the wreckage and restore the rare aircraft to its original flying condition. This is their story. The Mid Atlantic Air Museum was founded in 1980 under the direction of World War II veteran Gene Strine and his son, Russ. As experienced pilots, aircraft mechanics, and businessmen, the Strines were the perfect candidates to recover the Black Widow from Indonesia. Together, they would spend twelve years and thousand of man hours negotiating salvage rights and traveling halfway around the world to the remote jungle mountainside where the Black Widow lay. They risked everything to save this important piece of aviation history, braving difficult terrain, dangerous working conditions, and a maze of bureaucracy. But their gamble paid off, and in the end they emerged victorious. Today, the museum proudly displays its collection of more than eighty aircraft at its facility in Reading, Pennsylvania. With the goal of restoring their planes to award-winning airworthy museum condition, the Strines work tirelessly. The P-61 Black Widow is nearing the end of its long restoration process, and will soon take to the skies once again. When it does, it will be the only known P-61 in the world to fly. This book is part of a fundraising effort to restore the P-61 Black Widow. It can be purchased at the Mid-Atlantic Air Museum or ordered through their online store.